Here’s the state of the TBR as of the last day in September – I’m pretty sure that, as I’m doing my Libro Bank Reconciliation at some point today, nothing much will change by tomorrow! Coming up right now are my current reads – a Georgette Heyer omnibus that’s my mealtime read at the moment (having got rid of my Mag Lag, even catching up with The Week, I am now wallowing in “Arabella” at the dinner table) and Stella Gibbons’ rather fascinating “Nightingale Wood”, which I’m half way through. 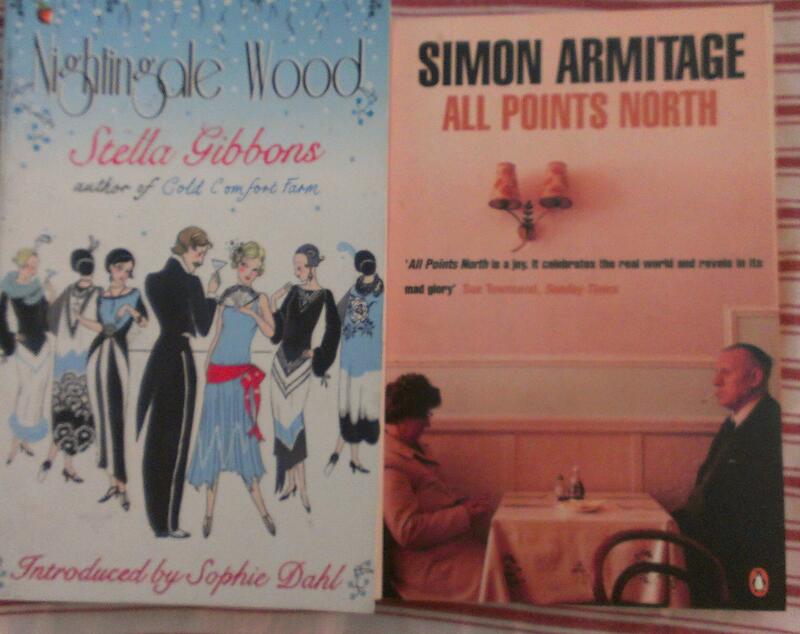 Then I have Simon Armitage’s “All Points North” coming up as a kind of homework, as I’m going to a talk he’s giving at the Birmingham Book Festival on Friday (as a guest of my friend, Sian, who is volunteering at the festival and scored two tickets – thanks, Sian). I bought this book on my birthday in 2000 and haven’t read it since, so that should be a treat (it’s travel narrative and essays, somewhat similar to his new book, I think). What are you planning to read in October, gentle reader? Do tell! I was waiting to work out how to pin this onto my topics of working full time, book reviews, e-books or research*. I was trying to work out how the subject area might particularly apply to freelancers, or researchers, or health. But then I thought: what do I do all this for? Helping people. And by talking about this subject, we might be able to help some people. So I’m going to write about it anyway. Let me introduce you to Anita and Lucy. I came across them in a guest post they did on Alistair Campbell’s blog. He’s well known for being open and honest about – and campaigning about the treatment of – alcoholism and mental health issues. They’re the Soberistas. Alistair, Anita and Lucy have all struggled with alcohol abuse; all of them have kicked the habit; they’re talking about it, and they’re doing something about it, too. That’s the key. Anita and Lucy have started off by talking about their own battles with alcoholism and are doing so in a straightforward, honest way, with not an ounce of self pity. That’s pretty brave, in my book. Let’s face it, we all know or knew someone who drinks too much; maybe we’ve even been there ourselves. I know I had a dodgy phase in my 20s where I was in the pub most evenings with colleagues, trying to deal with a difficult work situation by drowning it in alcohol. Luckily I have always been too paranoid about only having myself to fall back on to slip into any addictions, but it’s so easily done. And, like the Soberistas say, there’s an acceptance of middle-class women knocking back bottles of good wine that is rather different to attitudes to a “typical” alcoholic with his bench and meths. Having fought their own battles, these women then took a good, hard look at how they might have been helped. They were not keen on AA – and while I know that is a great help to many, why shouldn’t people have as many options as possible? And they’ve come up with the idea of the Soberistas website, which will be an online community, a bit like Mumsnet, to support women who are having issues with alcohol. Soberistas proper will launch in November. I’d recommend following their blog, their Facebook page and/or their Twitter feed – and if you are able, in any way, to give them a bit of support, whether that’s talking about them, sharing this post, inviting them to do a guest blog post, pointing them to resources and resources to them, please do so. I’ve not been asked to do this; I’m certainly not being paid to, but like the other selected causes I support, I think this is a good one and worth a bit of our time and effort. Please join me in wishing the Soberistas well in their laudable campaign. *There is a tenuous link. I found out about these brave and inspiring women from an interview on Alistair Campbell’s blog. I wouldn’t have been subscribed to his blog had I not found out what a jolly decent chap he is when I reviewed his book, “The Happy Depressive”. Oh, and Iris Murdoch’s conception of the Good in her novels centres on being actively good and helping others. So it does tie into my main interests on this blog, really! Sequel to the excellent “My Friend Flicka”, reviewed earlier in the year. Ken and Howard are growing up, Flicka has an unfortunate throwback colt, and as the farm slips closer to financial ruin, Nell and Rob’s marriage starts to creak. Not a pony book, but a powerful portrait of the horse and his master, and of horses in general, as well as farming life in mid-century America. Again, much more about Nell and Rob than I remembered. Superb – wonderful scenes and perceptive family and individual moments make it a marvellous all-round read. 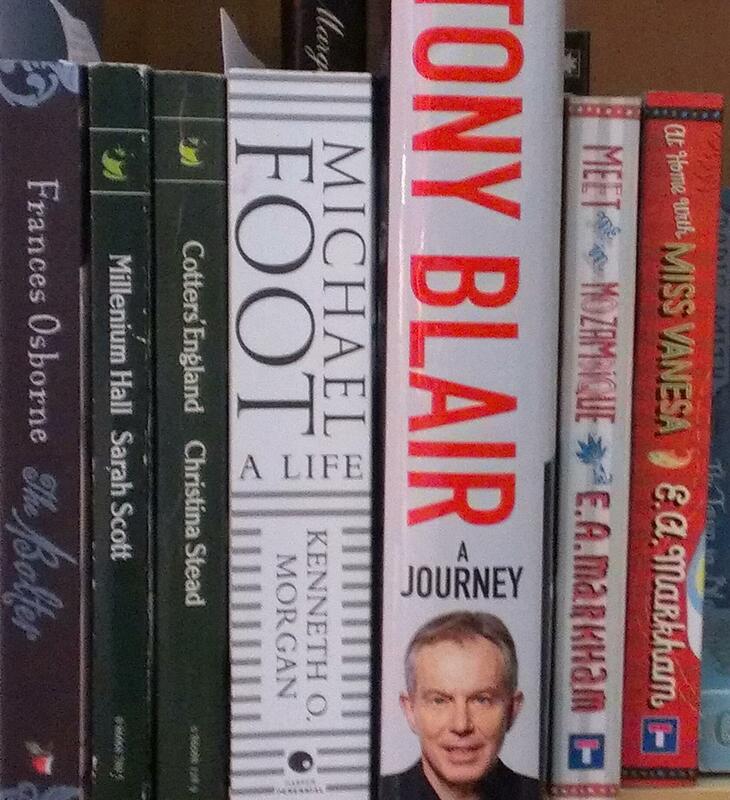 A set of pieces about libraries – memoir, polemic and fiction (and I’m not even sure it’s ‘by’ or edited by Godin, but that’s what comes up on my Kindle), of which the memoirs work best. I particularly liked Hardeep Singh Kholi’s piece about coming of age and Scottishness in the local library. Fairly slight, but good for a travelling read. My customary sticky backed plastic and bookplate with ‘Elizabeth’ written on it date this to pre-1989. A portrait of a self-deluding monster, but a more subtle portrait of a monster than “Angel”, maybe because Flora here doesn’t have a ‘talent’ to share with the world, just an unwavering self-belief and a need to bestow herself on people. In this melancholic novel, there are unlikely pairings that will never work, and unlikely alliances that do, such as the invisible lines that put the marvellous painter, Liz, in secret cahoots with downtrodden Meg, and Flora’s husband helping her mother to escape her self- and Flora-created prison. A novel with an empty heart and marvellous, rich minor characters – Richard’s father, Percy and his mistress, Ba, and Liz especially. I loved the housekeeper, Mrs Lodge, with her yearning for birds and the countryside (in fact, birds occur throughout). In the lost London souls and unrequited love, a bit reminiscent of Anita Brookner, with the piercing skewering of tiny moments of human interaction – especially the excruciating scenes between Mrs Secretan and her companion, Miss Folley – all Taylor’s own. I love the portrayal of female friendships and the jolly lingo of nephew, Sam, who needs to buckle down. But will he, when the place is populated by suspected ghosts, there’s a Will that the wrong people know about, and poets and artists knocking around who cause one to ponder on the relative nature of good and bad art. And, in the end, will something happen that will mean another bout of upheaval for the Abbotts, surely the most happily married couple in literature? An excellent read with the rural background, well-drawn female characters and self-sacrificing heroes that we expect and love from Hardy, but a bit lighter, with less tragedy, and an interesting historical (to Hardy as well as to us) setting, which gives him the opportunity to muse on the passing of time. There’s a particularly lovely bit about the weapons kept in the church which gradually move away, come in for other uses, and eventually drop to pieces on various farms. Festus Derriman, one of the inevitable set of suitors, is hilarious in his moodiness and cowardice. John Loveday is the solid hero, a kind of Diggory Venn figure, making things right in the background; his brother, Robert, is more flighty, and there is always the sense that things could go badly wrong. Old Mr Derriman is a figure of fun, but also of pathos, not too broadly drawn for sympathy in the end, with a purity in his relationship with Anne as a surrogate daughter. The historical details are nicely done, with the fashions carefully delineated, Hardy of the Navy (the “Kiss me, Hardy” one, presumably), and encounters with the king. A charming and overall good read. I doubt I would have approached this without Ali’s Hardy Reading Project, and I’m glad I did. Subtitled “Romance in the Arctic”, the romantic aspect is subtly done and careful. Marie is already living a slightly insecure life in Spitzbergen when she takes up a stranger’s offer of a year in the far North, living with him in a small hut, polar bears and all. As with most books by this publisher (Summerscale), honest and personal, but where the writing quality in the books can be a bit uneven, this one is well-written and lyrical as well as down to earth and satisfying on the details and minutiae of packing for and living in such an extreme situation. While she says that she has trouble talking about her emotions, the author certainly expresses herself well and this is a good read, sad dog bits notwithstanding and in need of some maps and photographs. There is a useful Epilogue that answers some questions, and all in all a good read that gives one a flavour of what it would be like to live in a hut in the land of eternal midnight for half of the year, with one person who you don’t really know. Which is quite a tricky thing to get across! I went to a relaxed and fun networking event called Likemind at the Saints Caffé in St Paul’s Square, Birmingham, this morning. I went because I’d not been to this cafe before, and I had the time, but also because I knew Yvonne Donald from Cupkakery was going to be there. I’ve known Yvonne for a little while, I interviewed her for the Libro blog the other week, and she’d promised to explore making low-fat cupcakes that could fit in with my cholesterol-beating diet. I really feel I’ve missed out on the cupcake trend, as it pretty well hit Birmingham just as I’d given up cakes. I’ve asked every cupcake company I’ve seen if they do low fat, and they usually don’t, although I’m always pleased for my gluten-free friends when they offer options for them. I don’t praise where it’s not due. Yvonne takes enormous pride in her baking and was concerned that the texture was a bit “different”, so was keen to have me try them. They were good. Really good. So beautifully presented, too. The texture is the texture of a low-free cake, which is slightly more “puddingy” than a standard cake (but that means they go well with custard!). I will be sharing these cakes with a few low-fat-eating friends, and Yvonne will be testing out a few more recipes and promoting this as a new niche product. What this all really means, though, is that I went to an event where there were cupcakes, and I could eat them! Anyone else with a dietary requirement knows what this feels like! 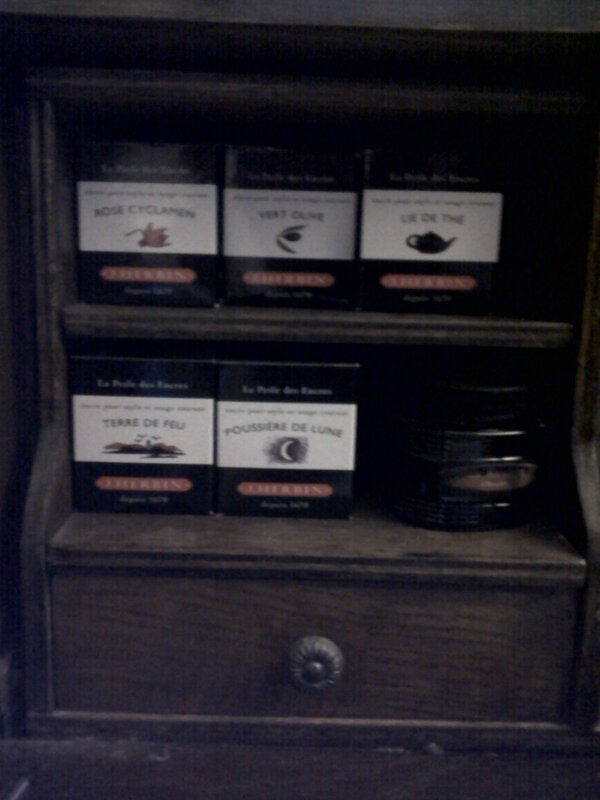 Thank you, Yvonne from cupkakery.co.uk ! I’ve decided to move all my Iris Murdoch stuff over to this blog, so look out for more news on my research project coming soon. 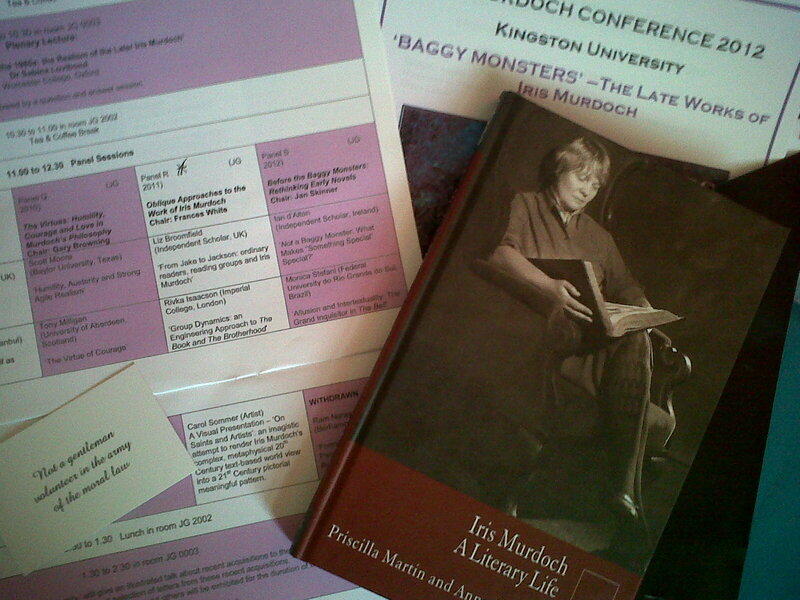 But first, let me tell you about my wonderful two days at the Iris Murdoch Society Conference. At the 5th Conference in 2010, I’d told people about my project reading all of IM’s novels in chronological order, and at this one I was presenting a paper on the research project that has come out of it – so there was a lot riding on this one, but I was looking forward to immersing myself in a Murdochian world for a couple of days, too. I got up at 4am – reminiscent of my trip to see the Olympic marathon!) and was safely on the 5:50 train from New Street station. It was one of those Pendolinos, so it took almost no time and there I was at London Euston. I’d chatted to a chap who was going to a trade show on the way down, so no chance to fret about my paper. I was in London by 7.15, and got the Victoria Line down to Vauxhall. I didn’t love my eight years living in London, but it does come in handy when it comes to knowing how to get around the place! I was in Vauxhall by 7.30 and popped to the overground station, getting a Kingston train at 7.46 and arriving in Kingston at 8.15. Map out, striding down the road, and there I was at the University of Kingston, Penryn Road by 8.35. Not bad for having left the house at 5.00! First up was a welcome from Meg Jensen from the School of Humanities at Kingston, and Anne Rowe, Director of the Centre for Iris Murdoch Studies at the University, who welcomed us on behalf of the Iris Murdoch Society (of which I am, of course, a member). This led straight into a fascinating lecture by Professor Charles Lock on the novelist John Cowper Powys and Iris Murdoch. Cooper Powys wrote his own baggy monsters of novels, which I am now desperate to read, and we learnt a lot about such large, realist novels and IM’s love of Cooper Powys novels, which worked their way into her own. He also shared some memories of knowing IM, which was lovely. After a tea break, it was time for the first panel sessions. What a nightmare choosing! There were 5, of which only one was a scary philosophy one I couldn’t understand. Pamela and I had decided not to go to each other’s, for fear of making each other nervous (and we have swapped papers now anyway), so I plumped for “The Comfort of Creatures: Animals in Murdoch’s Late Fiction” – and what a good choice that was. Priscilla Martin started things off with a lovely run through various cats and dogs in the fiction, and their relation to the moral development of the characters. Paul Hullah then basically redeemed Jackson’s Dilemma, the upsetting final novel, for me, with a beautiful poem of IM’s on horses and a talk about the horses in the novel. Beautiful – and really made me feel better about that novel. Marc Keith rounded things off with his first ever conference paper, a well-organised and very enjoyable run through dogs in IM, particularly as an initial step in overcoming one’s Self and moving towards goodness. There were some great questions at the end, too. Having had a slight panic over the lunch (all sorted out by the excellent conference assistants and redeemed by a lovely young lady in the canteen downstairs) I was getting really tired, and sat quietly with Pamela instead of going to the next plenary – which I feel awful and stupid about, as Anne Chisholm was absolutely lovely when I spoke to her later on, and I had read a fascinating article by her in the Guardian a few days previously. I was worried I wouldn’t have the stamina for the two lots of panels afterwards. And at least this way I did, and I’m glad I did. The first panel after lunch was on “Chaos and Comedy in Murdoch’s Late Fiction”. I’d already met Josh McCall, one of the presenters, at the tea break, and couldn’t resist the discussion of The Book and the Brotherhood and The Philosopher’s Pupil that was promised. Up first, Tanya Bennet talked about history and the personal being in opposition, and about Jenkin’s scapegoating in the former novel. Donna Gessell talked about the way The Green Knight constantly undermines its own structures with disruptions. Then Josh gave a great paper on the ending of The Philosopher’s Pupil and how it plays havoc with notions of the author/reader/narrator. This book is apparently discussed as a failure – well, I like it a lot, and I saluted Josh for being another person working on his IM projects as side projects to a full, busy other life. We had a nice chat about the Cambridge Latin Course (as you do!) afterwards. Pamela did a great job of chairing this panel – a nerve-wracking undertaking in its own right. After a short break, more treats, with a shorter, two-person panel. This time I chose “Agents of Power and Morality”, with Michelle Austin, a stalwart Facebook friend of mine, giving an excellent paper on ghostly agents of morality in Jackson’s Dilemma and The Green Knight, with a wonderful mention of Mary Poppins and the strange role of Mir and his “belligerent mysticsim”. Then Adriana Ruta talked about the books being constructed on melodramatic principles, which pull readers in with their appropriation of genre conceits. I was mightily cheered about my own research when I realised that I do understand more about the German reception theorists than I thought I did, and I had some good chats with Adriana about this. After the panel sessions it was time for the wine reception – had some great chats with various people, and met Rivka Isaacson’s (very) small daughter, Netta, properly – the youngest delegate by, oh, 20 years or so! Pamela, Monica from Brazil and I ended up going to Wagamama for our dinner, after popping by my hotel to check me in first (this taking longer than expected because the guy at the reception desk had his arm in a splint and found it hard to write!). I was so tired by the time they dropped me back at my hotel; I had a little catch-up online, thus justifying dragging the small laptop down with me, and a very short read and a chat with Matthew then slept quite well. Saturday morning – the fear, the fear! I hadn’t been feeling The Fear too much about my paper, but started to get nervous. What if it had somehow dissolved in my folder and disappeared? (Never mind the fact that I also had it on a pen drive and had emailed it to myself!) I had my breakfast-in-a-box gubbins at the hotel (lots of stuff I shouldn’t eat but I know I can manage this stuff just about, having had it before) and then walked down to the University. I was so nervous by this point that I convinced myself that I’d gone the wrong way when I really hadn’t! Carol and I had a moment of worry but then reassured ourselves. I couldn’t have been with a better panel, with Carol, Rivka and lovely, calm Frances White doing the chairing. But before we had to face our fear, there was another plenary, this time by Sabina Lovibond, who was talking about whether the Baggy Monsters are “realist” novels. This was very interesting and I was pleased I was managing to follow it all. Then a cup of tea, another trip to the loo, a hot cross bun in case of fainting, and it was time to drag ourselves round to Room 2011 for “Oblique Approaches to the Work of Iris Murdoch”. I was lucky enough to be up first. Frances introduced us all to an audience of the great and the good – a decent turnout including Chris Boddington, one of the contributors to my research as he’d submitted a review of The Bell for me to look at, as well as Anne Rowe, whose encouragement has meant so much to me. Giving the paper is a bit of a blur. I know I stumbled on occasion but used Marc’s tip of running my finger down the side of the text so I could look up and not lose my place. I know I ad-libbed a bit and got a few more laughs than I’d perhaps expected. People seemed to enjoy it as I ran through my Murdoch-A-Month reading group, the questionnaire I applied to them and their thoughts on the Baggy Monsters, plus some initial findings from my 25 book groups that read The Bell. It was a relief to sit down and know I’d got through it! We then had a fascinating presentation from Rivka about synthetic biology and the way it could be brought to bear on the networks in The Book and the Brotherhood, ending with the assertion that arts and sciences are not as far apart as we think. There is always plenty to think about and of interest in Rivka’s presentations, and we were all touched when a Japanese delegate came up to her at the end to shake her hand and tell that he was a neuroscientist! Then Carol Sommer gave what was undoubtedly the coolest paper of the conference, introducing the art works she has made in response to IM’s novels. These were just amazing – text-based pieces with a wry humour that raised chuckles of recognition. I particularly liked her business cards, which included statements by various IM characters on one side, but it was all just marvellous. There are some examples here on her website. Then it was question time. I got a few, but nothing I couldn’t handle (thank goodness!). Frances’ delightful Mum noted that when first married, they couldn’t afford many books but bought several of IM’s novels from their book club and read them together. Someone asked if I was going to look at the response of male as opposed to female readers – interesting question indeed! Oh, and Carolyn drew a sketch of me presenting, which she kindly photographed and sent over to me! What a relief it was to sit down and eat a lovely lunch with all that worry gone. Then it was time for an update from the Archivist, Katie Giles (I always like to go to this one, as an ex-librarian) and a reading from IM’s letters to Philippa Foot, beautifully done by Priscilla Martin, then the last plenary of the day – Philip Hensher on Iris Murdoch as a 1980s writer. This was really well done and interesting, and he raised a point I’d never thought of – having loved IM’s novels as a teenager, he then never thought to discuss them in his English degree. I did exactly the same, but didn’t realise until I heard him talking about it. I bravely asked a question at the end of this one, feeding in to my study of people reading IM for joy rather than study. Then Anne Rowe rounded up the day (mentioning our panel!) and said goodbye. There was a pub trip, but I thought I’d better get myself across London so I said goodbye to friends new and more established, looking forward to seeing them next time. A quick walk up to the station, then Friday’s journey in reverse. So sad that it was all over – and I was missing the walk in London on the Sunday, as I had too much work to get home for. I had quite a long time at Euston in the end, but got some dinner before getting on the 18:45 train home, getting in at 20:15. I remembered to take a photo of myself in a rather Murdochian hat I happen to have, but had forgotten to show Pamela. On the train, with the world whizzing by me. And then I was home, and it was over for another two years. I had such a good time, and it was made better by feeling I had validated myself by having some research to present on. I was also cheered to see how far I’d come with my research in the two years since I mentioned my reading group at the last Conference – I must remember that when I think it’s going slowly. I understood the sessions I attended, asked questions, talked IM, IM, IM with a load of other enthusiasts, and had some time out for me. All good. Roll on the 7th Conference in 2014! Please note: this blog post is made up of my own impressions only and has no relationship to any formal account of the event which may be put out. I apologise if I have misrepresented anyone’s research or missed anyone out who I met and spoke to! I think this is probably more to do with the UK academic year than anything else. And, in connection with that, this Autumn feels more than a little odd. 1972-1975 – Too young for school! 1975-1992 – At primary then secondary school, then University, then working at the University Library. So that’s, what, 7 years out of 40 when I haven’t been somehow going Back To School in one form or another. No wonder I feel a bit odd! In some ways, this autumn does feel like going “back to” something. We had quite an odd summer, all in all. We had workmen in through the summer, not just lovely Terry the decorator, but a door man and a hedge man. This meant a change to my routine – as I am by default “The one who’s at home” I had to be dressed reasonably normally, able to answer questions, and making decisions on all sorts of things. I had some time off work for the Olympics, but because we had a “real” holiday booked, I couldn’t be as unavailable as I’d have maybe liked to be, so I ended up scrabbling around working between TV viewing, and it wasn’t as satisfactory as it might have been. Then we DID have our holiday, and that was lovely, and I learned that I CAN have an actual week away from the internet connection (and even phone connection) and Libro wouldn’t dissolve into nothing. And then I had my Iris Murdoch Conference (more of that later) and now I’m back and starting into the run of working life up to Christmas. It’s still my time of change and renewal, and I guess it always will be. Fine – some people’s season and renewal is the spring, some the summer (what’s yours?) and mines’ the autumn. In a way, this feels like the start of Libro full time, more than January did. I’ve been able to reflect on the past 9 months, see what’s worked and what hasn’t, and have a think about the way forward. There are no big changes coming, nothing exciting, nothing shocking. I do know I’ve been working a bit too hard, a few too many hours. Some of that is unavoidable – other people’s deadlines slipping, and crashing into work that’s already been booked in. I’m getting good at batting away all other small new jobs when that kind of thing happens. I’ve also built up a good roster of people to whom I can refer work I don’t have time – or don’t choose – to do, which means I can say “no”, but, crucially, I can say, “But I can give you the name of a person who might be able to help” – and that makes me feel better. I’m lucky enough to have a good set of regular clients. Over this year, I’ve become more choosy over who I add to my client list – clients I think will become regulars, the kind of work I enjoy doing, the financial aspects that make it worth doing – or with the less well-paid gigs, other factors such as enjoyment of the actual work. I’m looking at the areas of work I do and paying attention to what I like doing and what I don’t enjoy so much. Some aspects of my work will diminish in importance as a result of this sifting. And I’m glad to have people, as I said, to refer new prospects on to if they come to me. For example, I don’t think I’m going to take on many Master’s coaching students this year. They are interesting to work with, but the unpredictability of the inevitably urgent work makes it hard to plan my week and be able to support the students. Luckily I know a great woman who is brilliant at taking students through their academic year, so off they go to help her build her business! It might not be back to school for me this year, but it is back to a more balanced life, after a frankly odd summer. How’s it going for you?